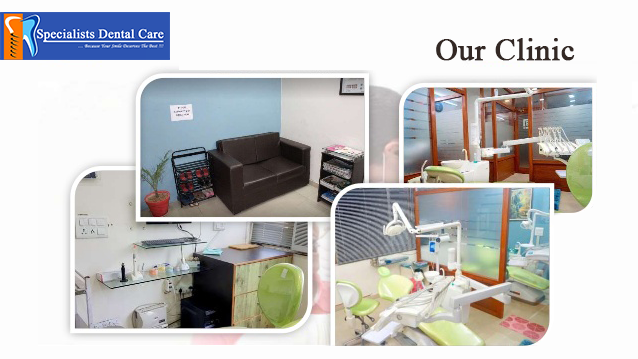 Best dental clinic phase 11 sector 65 Mohali is here to give you treatment for all dental problems. So, you can also go there, if are having any dental problem. 92% of common dental problems are caused just by “Ignorance”. So, do not ignore any dental problem. In India, we usually visit dentist very lately because we have a myth that if our teeth are not causing any pain, they are healthy. 74% of people do not consult a dentist at first occurrence of teeth pain or gum Bleeding. Only because of this, they have to undergo major dental treatments. So, it is better to visit your dentist early, to maintain good health of your teeth as well. Black spot over your tooth – Although all the black spots are not decayed, most of them are. If you left them untreated, it will get worse and soon it will affect the second and the innermost pulp of the tooth. Then, you may experience pain & it may also break your teeth in near future. Yellowish deposition over teeth – No doubt, this yellow deposition may not be causing any problem to you in the beginning but in a later stage, it will create big problems. It may cause bad breath, infect gums, and dissolve the bone of the socket of your teeth. Teeth whitening treatment is available at best dental clinic phase 11 sector 65 Mohali. Ignorance of replacement of extracted teeth – Instead of saving their teeth, people have the tendency to get them extracted. After extracting they think the problem is solved but this is not the case. Missing several teeth can affect the surrounding teeth and may alter facial structures as well. Adjacent teeth may drift into a gap from their place and can cause jaw bone loss at the site of the gap. Full mouth dental implants clinic is here to give you the best treatment for this. By replacing missing tooth roots, dental implants provide the strength and stability to people and help to stimulate and maintain jaw bone, preventing bone loss and support facial features. You can replace your missing teeth from full mouth dental implants clinic. Accumulation of food at a particular site again & again – There is a place where food particles accumulate again and again and to remove that, you get some toothpick or similar thing. At that moment, you may not be having any pain or discomfort but mostly decay starts at this place. And the day you will get notice it will be the day you start having pain. So it is better to get the treatment as early as possible. So what are you waiting for? If you are also looking for any dental treatment, book an appointment right now with best dental clinic phase 11 sector 65 Mohali. You can also visit our website Specialists Dental Care and follow us on Google Plus, Pinterest, Facebook, Twitter and YouTube for latest dental blog.